Is your frame damaged? Bent leg? broken pole, ripped tarp? Don’t buy a new frame! We have genuine dark brown powder coated steel frame parts and pieces. We sell legs, incline poles, fittings and feet. Don’t forget the tarps. We have roof tarps, side panels, end panels and of course, ball bungees. Not sure what you need? Call us, we are here to help. 541-951-2861. Costco Carport Canopy Replacement Parts are finally here. Lose a leg? Bend a fitting? Crush a foot pad? We’ve got you covered. Here at Costless Tarps, we will ship you the parts you need. Bungees worn out? We have those too? Need a cover? No problem. We have every part you need for your dark brown colored metal carport frame sold at Costco. This frame measures 10×20 and looks like the above picture. Not sure of your part number? We are here to help. Call us 541-951-2861. Need those window or pop-up door side panels? We’ve got them. Costless Tarps will ship them to your door. Can’t find the replacement top, not sure of the size. Call us today 541-951-2861. If you are local to Southern Oregon, save shipping and visit our store. Our Costco Carport Canopy Replacement Parts are the originals. Don’t wait, sometimes we run out! 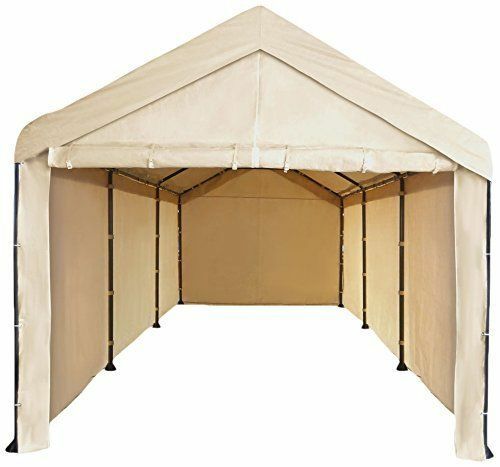 Easy Build Frame Kits come in sizes from 10′ x 10′ to 20′ x 100′. Give us a call and we will help you build. Oregon Tarp Company will tailor an easy build kit just for you. Here is how it works. Call us at 541-951-2861 and give us the dimensions of your desired frame. We will send you the fittings you need to assemble your frame. You purchase your poles locally and save on shipping. Why? Galvanized steel is very heavy and the poles needed to build a frame are long and difficult to ship. Purchase them in your location and pay shipping only for the fittings. It’s easy. Once we have determined the size pipe or poles you need, we will send you a list of the lengths and pipe size you will need. 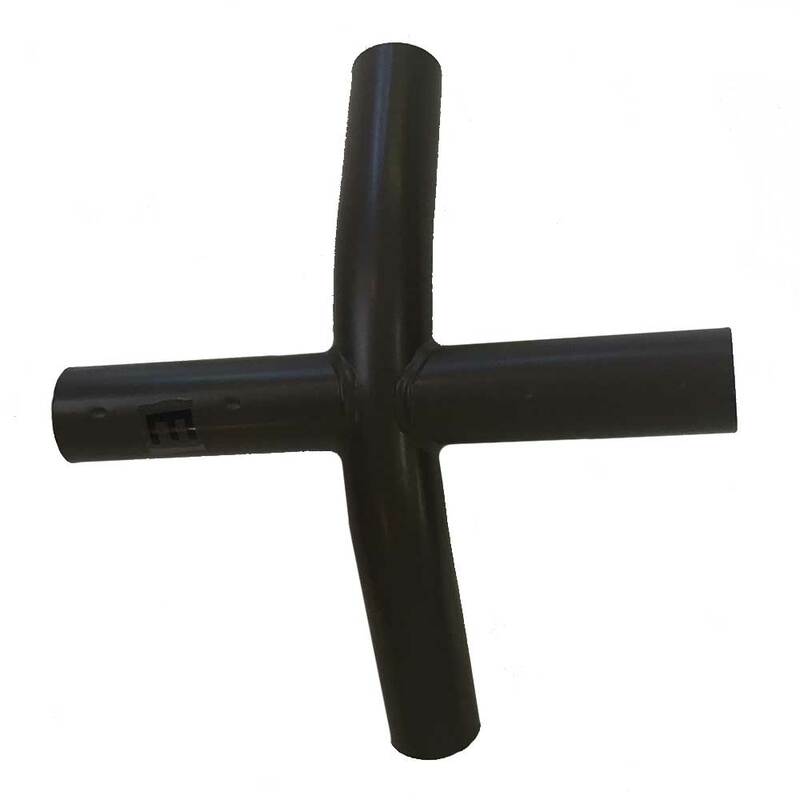 Once you receive your fittings simply purchase your pipe according to the list and build it. We also supply pre-made economical roof covers, ends and sides or we custom make heavy duty vinyl covers. See examples on our carport frame kits tab located on the home page and give us a call at 541-951-2861. Are you local to Grants Pass, Oregon? Come see us at 1349 Redwood Ave.
Marine grade bungee covered in UV treated heavy duty webbing takes the yank out of docking your boat. Bungee cord allows the boat to give, creating a gentler, easier docking experience. Made here in Central Point, Oregon, boat and dock ties are durable and excellent quality. Our dock ties make great leashes for large dogs too! Don’t get burnt this Summer. 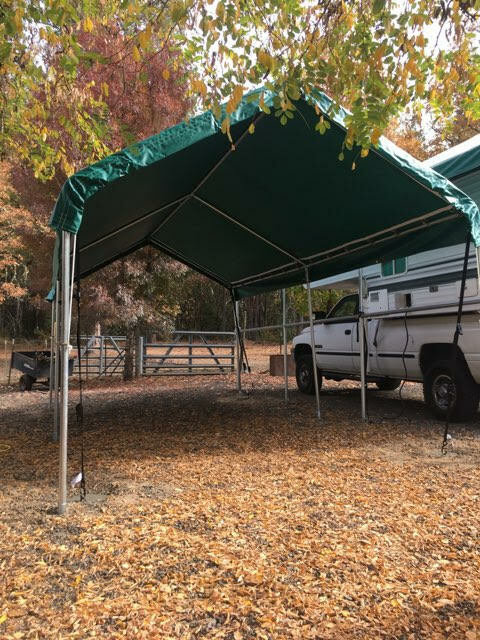 Use versatile, easy to hange shade cloth. Numerous sizes and colors available. Hang it from a tree, over your patio, pool, play area or vehicle. 73% privacy or light blocking. UV treated woven poly. Fully hemmed with grommets approximately every 18 inches. 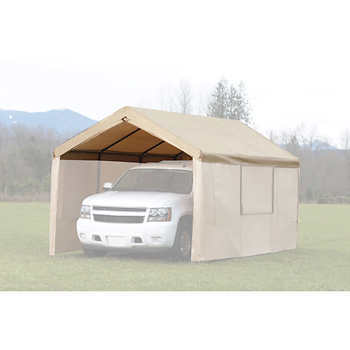 Easy to attach to wood, concrete, trunks, canopy or carport frames. Use rope, bungee or hook directly to the surface using the grommets. Don’t fret, we’ve got your needs met with our durable, colorful shade cloth. Have a pergola, carport frame? Our shade cloth looks great on those too! Order off our website or come into our store at 1349 Redwood Ave, in Grants Pass. Don’t see your size, give us a call 541-951-2861. We also do custom sizes in tan or black. 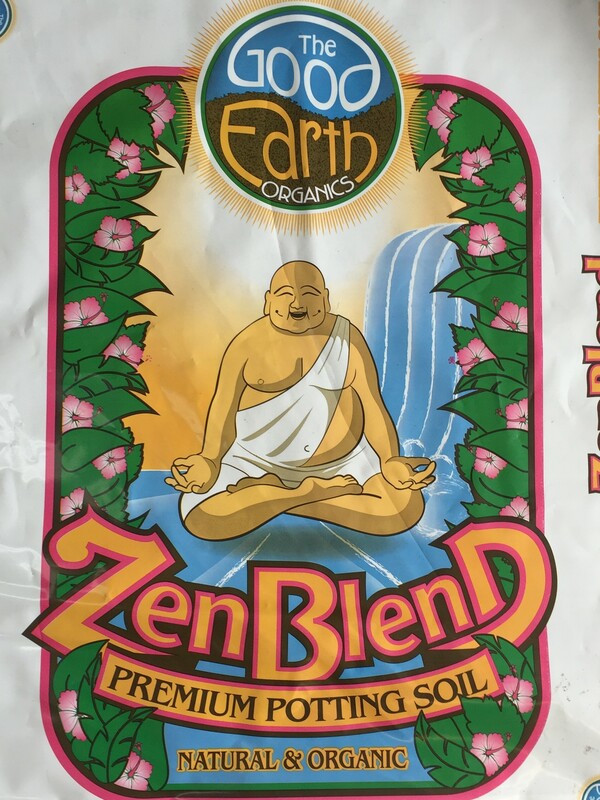 BRING IN SPRING WITH GOOD EARTH ORGANICS GARDEN SOIL, BY THE BAG, TOTE OR YARD. We carry the finest potting and garden soil around. Locally made and packaged just miles from our shop. Buy local, spring into planting with our rich soil. Bat and seabird guano, feather meal, coco, crab, kelp, fish are just some of the fine ingredients in our soil. Buy in bulk, save money. We carry 10 cubic feet bags right here in our store in Grants Pass, OR. Stop by and touch our soil. Need greenhouse film or clear tarps? We have those too. Keep your hands clean with our super fine goatskin and suede garden gloves. Come check us out, new products all the time. Summer Boat Covers keep harmful UV rays from damaging paint and plastic. Why spend 30k on a boat and leave it in the elements. Happy customers Helen and Danny covered their pontoon boat for under 2k, you can too. Heavy duty galvanized steel frame and durable 18 ounce vinyl covers protect your investements. Easy to assemble, easy to install. These are a great way to start off your Summer fun. No more tarping, strapping and flapping. 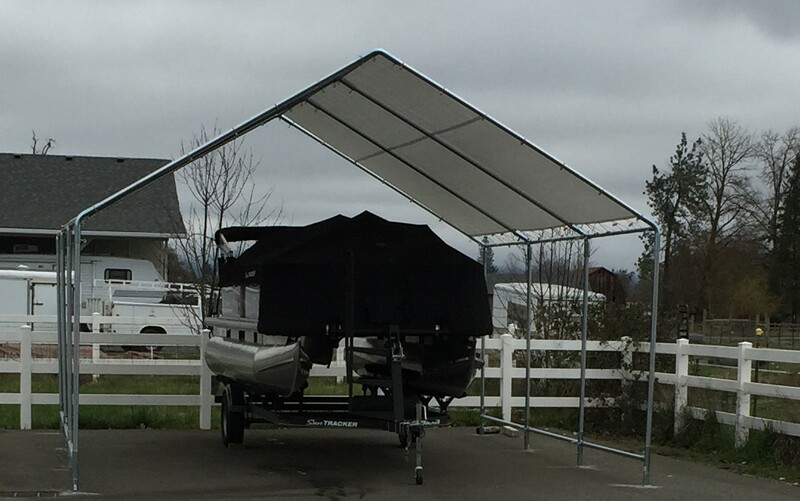 Just back in or drive through your new boat cover today. Standard and custom sizing available as well as installation in Southern Oregon. Our fittings make durable, super strong industrial furniture. Galvanized steel fittings and pipe have endless uses. Design your project today. We have a variety of fittings in our shop. Give us a call, we ship our fittings all over the USA. Industrial rustic tables, benches, shop tables, shelving, outdoor seating. Galvanized steel framing and rustic cedar tops. You build or we build, easy to assemble or convert to other uses. Need Help? Give us a call 541-951-2861. We can build your design or help you build ours. Just need a carport, shop or mini frame. We have those too. Want to build your own? We have the fittings. Fittings, pipe and boards. Come check it out at 1349 Redwood Ave, Grants Pass 541-951-2861. The Versatile Fitting is a heavy duty reusable asset to any shop and garage. Build a frame. Build a table. Build shop shelving. Then change, re-shape and re-make. Fittings start at $6.00 each. We carry pipe in 1 5/8″ and 1 7/8″ in our retail shop and all the fittings you need to build your ideas. Call us to discuss you ideas and oder fittings. We have many options available, slip, L, T, cross, high peak, 3, 4 and 5 way. Just to name a few.